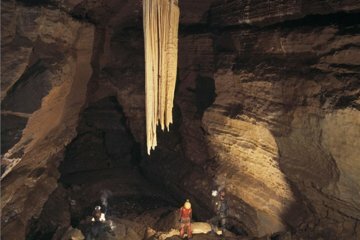 Located roughly 50 miles south of Galway on the west coast of Ireland, Doolin Cave is home to the largest stalactite in the Northern Hemisphere. Take a guided tour deep into the cave to view the ancient stalactite; with limited tour times each day, book your ticket to advance to avoid missing out on visiting this remarkable natural formation. While you’re there, enjoy a more relaxing stroll around the Farmland Nature Trail that surrounds the cave.